Earl Walker receiving a humanitarian award from Holy Spirit Church. 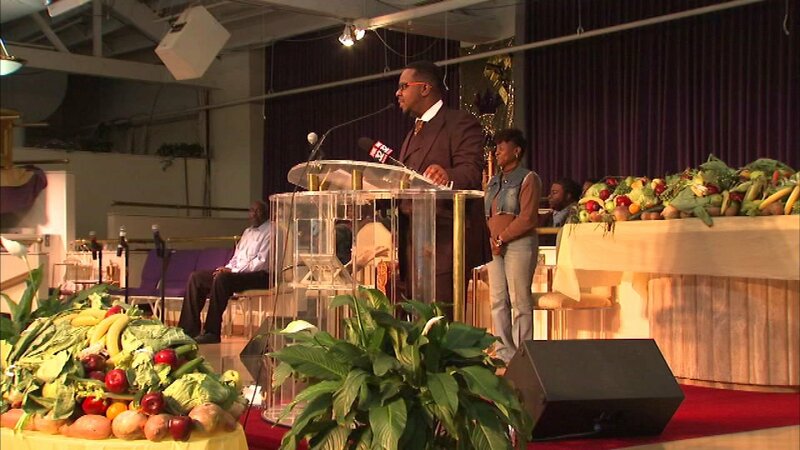 CHICAGO (WLS) -- A Chicago businessman was honored at a music-filled Thanksgiving church service. Bishop Larry Trotter and the Holy Spirit Church gave out their Humanitarian of the Year Award Thursday, Earl Walker, who founded W&W Towing was recognized for his charity efforts. That includes bringing bottles water to Flint, Michigan and buying hundreds of thousands of dollars' worth of Christmas toys for local families. Bishop Trotter said Earl's work helps improve the upward mobility of the community.